Also known as the ‘Norwood Hamilton Scale,’ the Norwood Scale is a visual tool that allows you to identify which phase of hair loss you’re in. Knowing more about it isn’t just crucial for aesthetic purposes, it helps you identify whether you need to try hair loss treatments and highlights the ones that are most appropriate for you. The Norwood Scale isn’t used to describe all forms of hair loss. It applies to ‘male pattern baldness’ only, which you may also know as ‘androgenic hair loss.’ This is the type of hair loss that arises to excess dihydrotestosterone, aka DHT. If you are genetically susceptible, DHT will cause the hair follicles on your scalp to miniaturize, resulting in hair loss and weak hair growth. While DHT is a member of the testosterone family, it can induce male pattern baldness in some women too. Again, this arises due to genetic susceptibility, as well as conditions such as ovarian cysts and life events such as the menopause. However, as androgenic alopecia produces different hair loss patterns in women, the Norwood Scale isn’t entirely applicable if you’re female. The further you move along the Norwood Scale, the fewer options you have when it comes to hair loss treatment. As such, using the visual representation we’ve cited, you should track your male pattern hair loss to make introducing the right medications at the most appropriate time simpler. While a few men will begin losing hair during puberty, most aren’t likely to until they reach their 40s. For some, this will happen a decade or two earlier. The younger you are when you begin advancing along the Norwood scale, the more likely it is that you will lose a lot of hair later in life. Having more children. While the science behind this isn’t entirely understood, there may be a connection with stress. Caffeine. Caffeine acts as a vasoconstrictor, which may reduce blood flow to the scalp. With reduced blood flow comes poor nutrient delivery, which can advance hair loss. Alcohol. Although alcohol acts as a vasodilator, drinking excessive amounts affects your body’s ability to absorb nutrients. Additionally, it increases your risk of cardiovascular problems and poor liver function, both of which have an association with hair loss. Smoking. Like caffeine, smoking reduces blood flow. Protecting your head from the sun. While some claim that wearing a hat increases baldness, there’s evidence to suggest that wearing one outdoors will protect your scalp. With a decreased risk of sunburn comes a lower risk of apoptosis, which is cell death. As a result, your scalp’s cells are more likely to thrive for longer. Stress. When you’re stressed, you begin producing more of a hormone called cortisol. While your body tolerates this for short periods of time, ongoing stress results in abnormal functioning of the hair follicles. Now that you know more about what contributes to male-pattern baldness, it’s time to learn about the Norwood Scale. At stage one, your hairline starts to recede slightly. You may notice it move back a little further, but there is no need for treatment at this point. Instead, Stage 1 is the time when you need to begin monitoring your hair loss to watch out for progression. At stage two of the Norwood Scale, your hair will begin thinning at the forward central part of your scalp. Around this time, it begins receding at the frontal part of your temples, but it doesn’t move behind the ears. Hair loss is usually bilateral, resulting in a triangular shape if you were to look at your head from above. At this stage, baldness will be evident to others rather than just yourself. 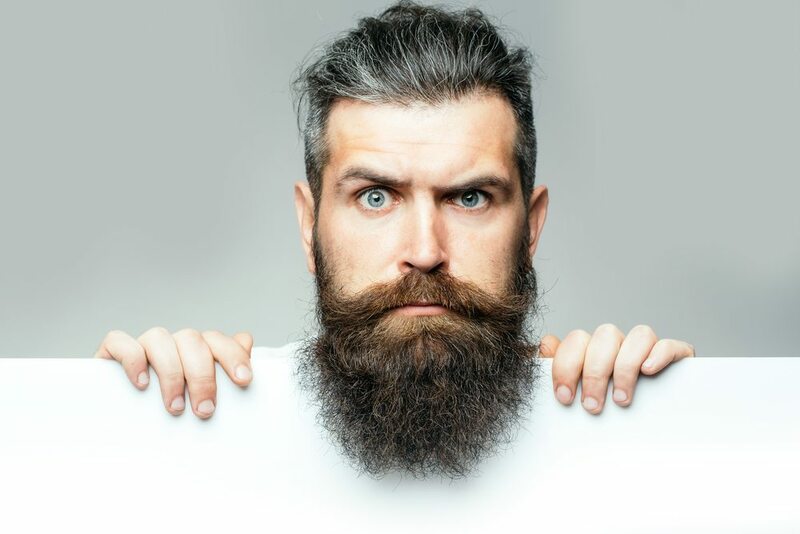 While some doctors may classify Norwood Stage Two as part of the male-pattern baldness distribution, many more state that it’s merely a matter of aging. As we grow older, various parts of our bodies begin to slow down. From producing less growth factor to slower repair processes, lots of biological occurrences contribute to hair loss. As such, if you’re in Norwood Stage Two, you may want to look for ways to block your DHT with natural products or find ways to grow hair naturally. Stage 3 of the Norwood Scale is where baldness becomes quite evident, and it’s also the stage at which you’re technically classed as ‘bald.’ If you were to look at your scalp from above, your hair would begin thinning towards an area called the vertex, which is where the crown portion of your scalp ends, and the middle starts. Around your temporal region, there may be a slight increase in hair loss. However this is minimal and remains symmetrical. While it may not seem like it to you, few people will notice your hair loss if they aren’t familiar with your usual image. However, this is a great stage to begin using hair loss treatments. Minoxidil is one of the most popular options for those who want to treat hair loss at home. As a medication that was once used for reducing blood pressure, one of its side effects is hair growth. When you use it in its topical form, it will grow hair in the areas you use it on; such as the scalp. At stage four of the Norwood scale, hair loss around the temporal areas and on the crown become more apparent. When looking at the scalp from above, a thick band of hair that separates the crown and the front temporal areas is present. While Norwood four is the stage where baldness truly begins, you do still have an opportunity to engage in hair regrowth therapies. Minoxidil is still an option at this stage. But, once you start to edge towards stage five, you may need to consider prescription medications such as finasteride/Propecia. If you find that Minoxidil is ineffective, you may want to discuss other treatment options with your doctor. For example, the FDA approved the use of antiandrogens to slow down hair loss. However, as androgens play a role in other processes, you should discuss all of the side effects with your doctor before you begin using them. Once you reach stage five of the Norwood scale, that band of hair is still present. However, it isn’t as thick as stage four, and the loss across the vertex and front temporal region is more evident. When seen from above, the hair may have a circular bald patch at the back of the head, and during the latter phases of this stage you may start to notice a monk-like distribution. At this stage, it’s questionable whether medications such as Minoxidil are likely to help. However, you can try supplements designed to reduce hair loss, as they will combat any dietary deficiencies exacerbating the problem. Alternatively, you could discuss a medication called spironolactone with your doctor. However, as spironolactone is a diuretic, it may not be suitable if you’re taking other medications or if you suffer from kidney disease. The bridge we mentioned in stage four may only just be visible at this point, and that monk-like appearance is now quite evident when you view your head from above. Your vertex and the front temporal areas are no longer separate, and while some hairs may remain, the loss is entirely diffuse. Additionally, you may notice less hair on the sides. Unfortunately, at stage six few medications or treatments are likely to work. It’s at this point that the hair loss remedies available are less likely to involve natural therapies or medicines, but you may still be able to try laser treatments such as iRestore. Alternatively, hair plugs are a surgical/cosmetic option. At this stage, you may only have a band of hair surrounding your scalp. The scalp itself either features minuscule amounts of hair or none at all. The hair that does remain surrounding the scalp is often subtle and is rarely dense. At this stage, treating hair loss using conventional means isn’t usually possible. As with stage six, there is little you can do about hair loss now. However, plugs are still an option, but with the degree of hair loss that occurs at stage seven, they’re only advisable if baldness is causing a significant loss of self-confidence. As you can see, the earlier you begin tackling your hair loss on the Norwood scale, the better. Few doctors will classify stages one and two as elements of androgenic hair loss, but at stage three you need to begin looking at treatment options. While there is little you can do in the latter two stages, addressing nutritional deficiencies throughout the scale may increase hair growth.